New to Human Resources or Want a Refresher? Build your HR muscle at one of CalChamber’s upcoming HR Boot Camp seminars throughout Northern and Southern California. CalChamber’s HR Boot Camp seminars start in February. From hiring through termination, our employment law experts explain core fundamentals of the employment life cycle, in addition to discussing compliance requirements, policies and best practices. 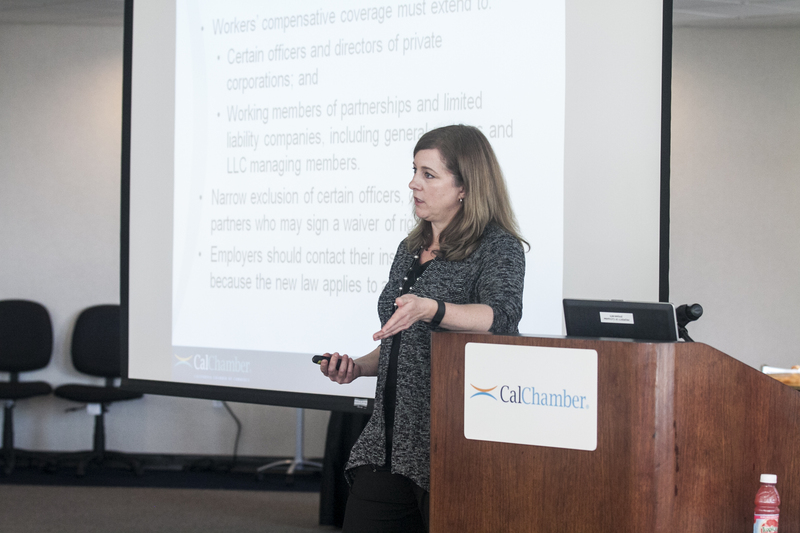 “We’ll be sure to address hot issues on everyone’s mind, such as Prop 64 and drug testing, local ordinances for minimum wage and paid sick leave, and the recent court decision affecting rest breaks in California,” said Erika Pickles, co-presenter and CalChamber Employment Law Counsel. It’s an interactive day packed with clear explanations and helpful information for business owners, managers or anyone who handles HR as part of their job. For more information or to register, call (800) 331-8877 or go online. HR Boot Camp is approved for HRCI recertification, SHRM Professional Development and MCLE credits.